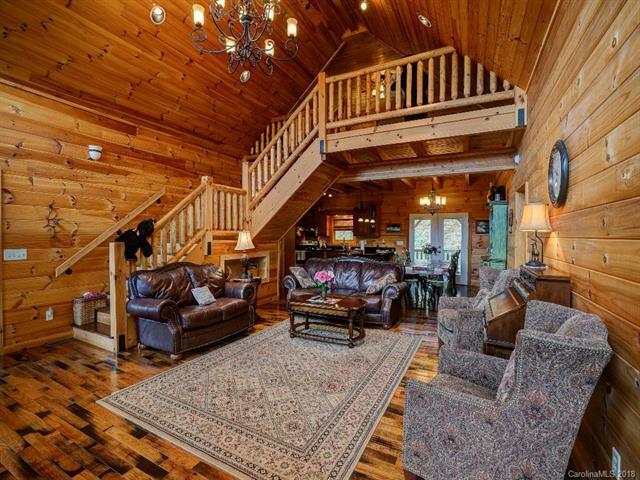 This stunning log home known as Wild Turkey Run is spacious with cathedral ceiling and the beautiful stone fireplace in living room. Open floor plan offers a large dining area, wonderful for family or entertaining friends. The master bedroom is on the main level and has large closets. The upper levels offers a sitting area and two add'l bedrooms. 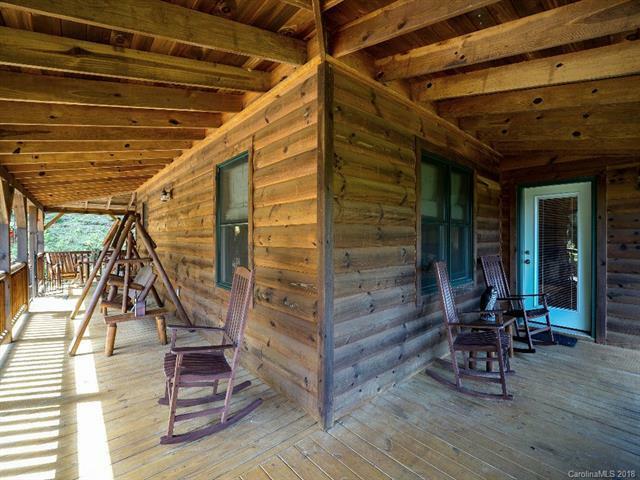 The large wrap-around porch is great for reading a book in the afternoon or watching the sunset with a glass of wine. 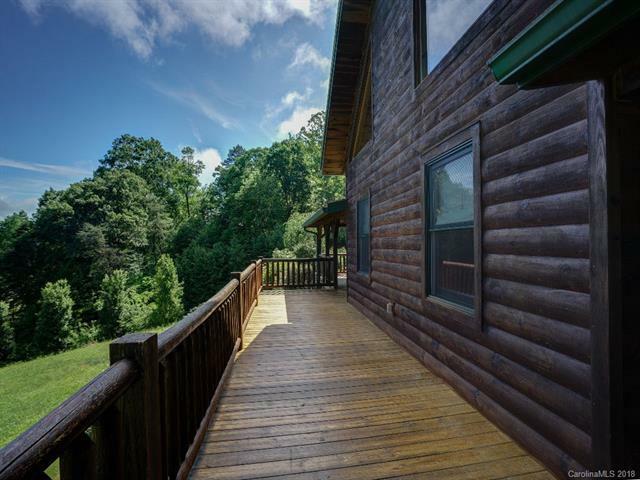 The view of this home is like a country setting with rolling hills and mountain tops to enjoy. 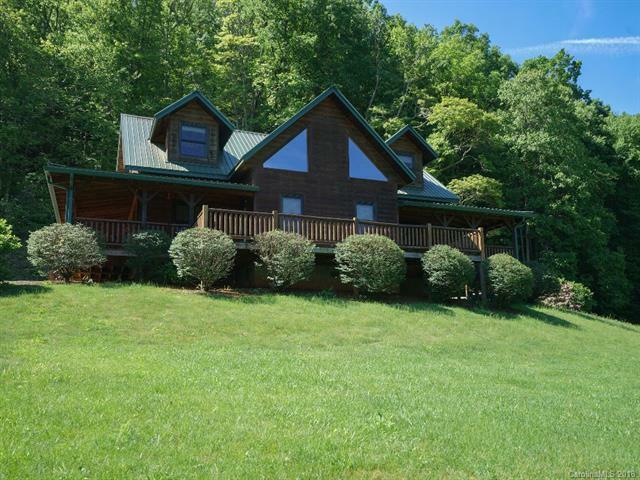 Close to Smoky Mountain Nat'l Park, Harrah's Casino, Sequoia National Golf Course. Picturesque view park like grounds.